Tara Star Nails: Ok, one more swatch post! Today, I have two colors that are similar in idea, but very different in application and consistency. 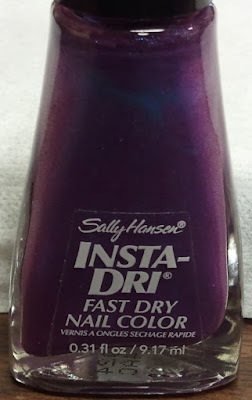 The first polish is Sally Hansen's Insta-Dri polish in the color, "Grape Going". 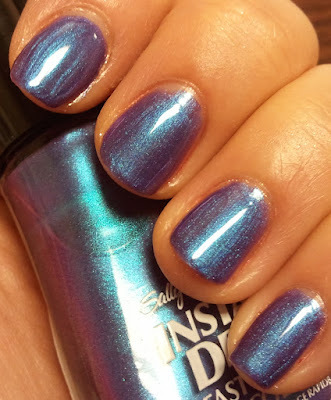 This is a purple/blue duochrome, and has a shimmery finish. I can't believe I waited so long to try this one, I absolutely LOVE IT! The bottle is interesting in that it's square, and the brush surprised me too.. it's flat and has a triangle-ish shaped tip? I'll show you in a pic below. I don't like it, honestly. Maybe I just need to get used to it? 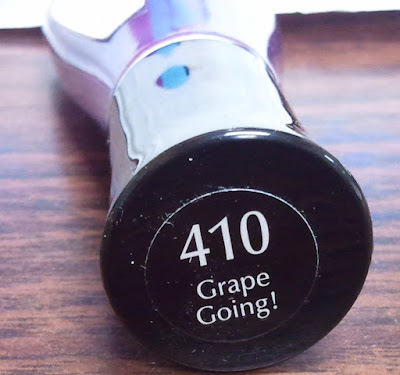 I don't know, but whatever, I don't even care about the brush because I love the color so much. A friend of mine picked it out and gave it to me as a gift, and I couldn't have asked for her to pick a better color! It's magnificent!!! Eeeeee! I love it! Hopefully you can see both the purple and blue in it! This is 3 coats of polish. It applied sheer at first, but was very easily build-able. 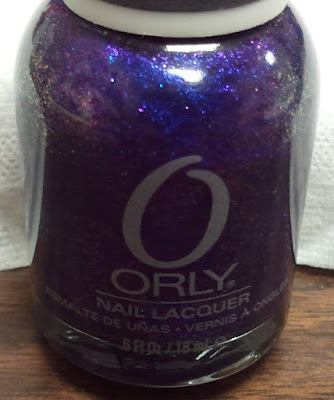 Next up is a color by Orly from their Cosmic Line. 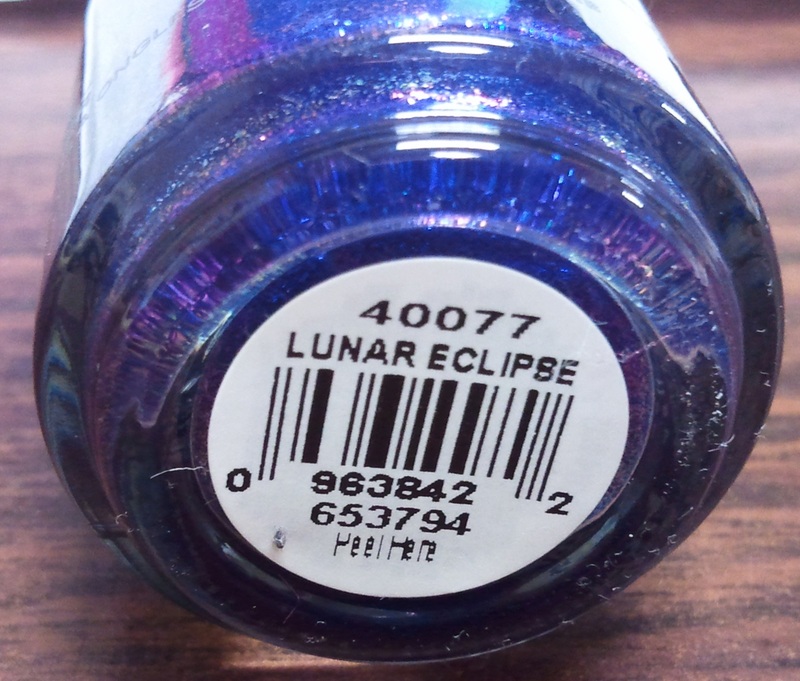 It's called, "Lunar Eclipse". 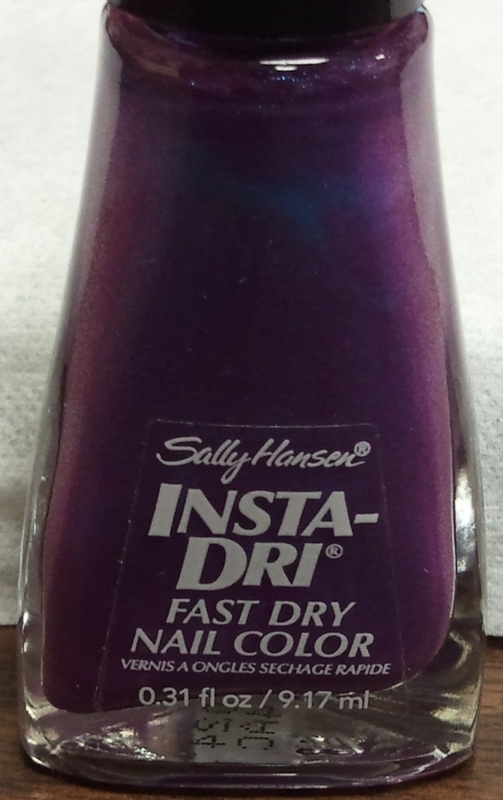 I wish this color looked more like what's in the bottle, while on the nails. 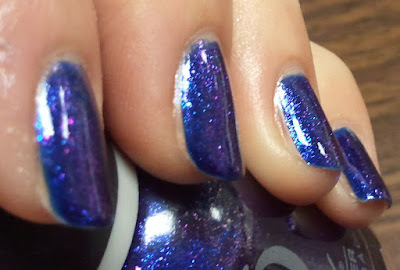 It's another purple and blue duo chrome, except this one is more of a glitter than shimmer. In the bottle, you can clearly see two distinct colors. Still blue... but see, purple in the bottle!! Ooh, ooh! Is that a HINT of purple sparkle I spy? I am still trying every which way to maneuver my hand to see some purple in the polish but it's not working out. 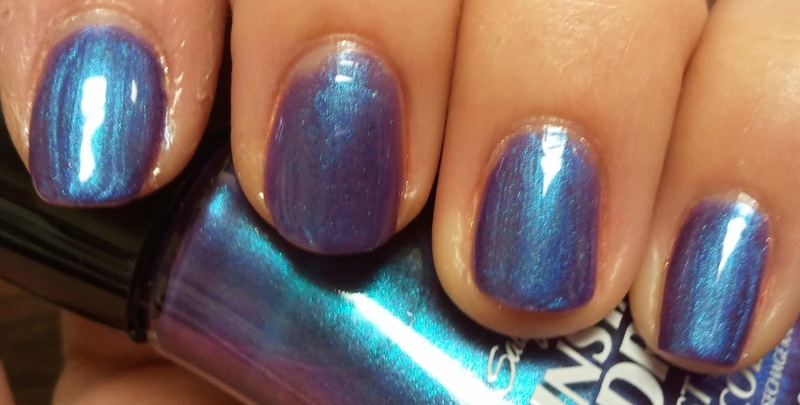 I see flashes every once in a while, but I guess I'll have to settle for a pretty, sparkly blue!